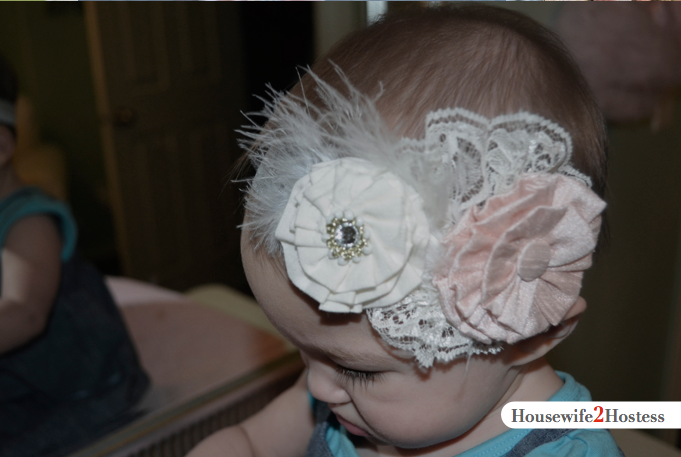 I LOVE the shabby chic, boutique looking headbands but don’t love the price. So, I decided to make a few of my own. 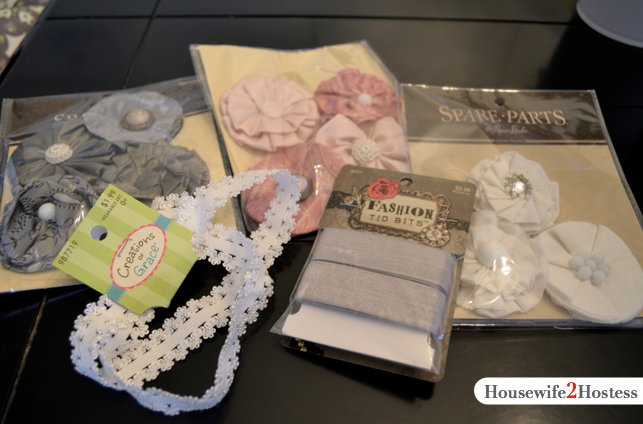 I made seven headbands total and only spent $14.03 on supplies! Considering a similar one from a boutique was on sale for almost $50 I’m feeling pretty good about it! 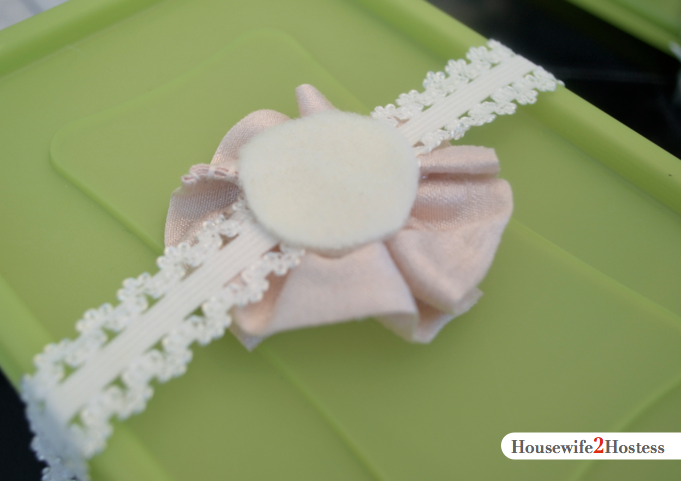 First, I put the headband around a small plastic container (right side in) to keep it in place. 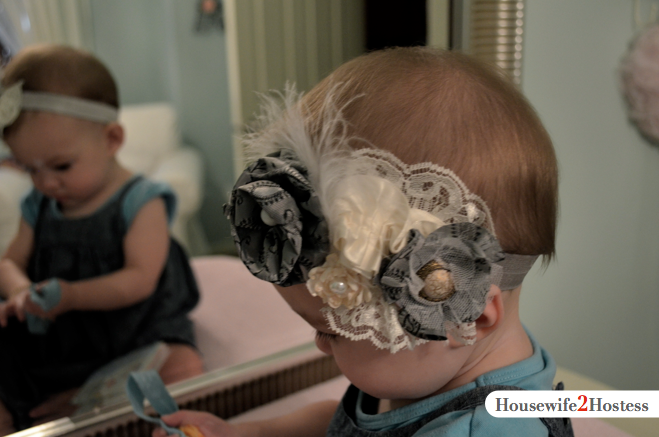 Then I added fabric glue to the back of a flower and placed that underneath the headband. 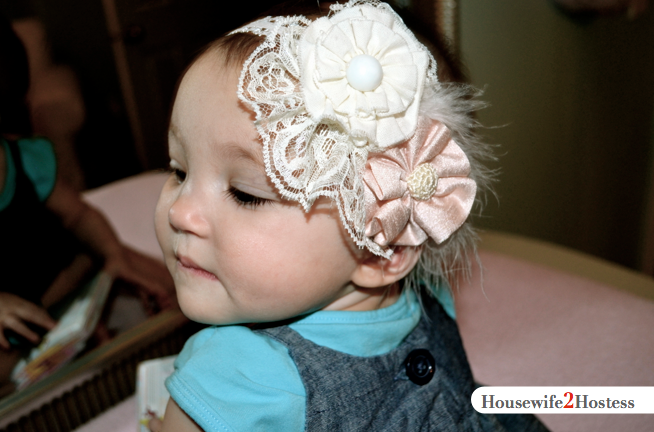 I used a round piece of felt on the top to hold the glue and make a soft backing that would be resting on her head. 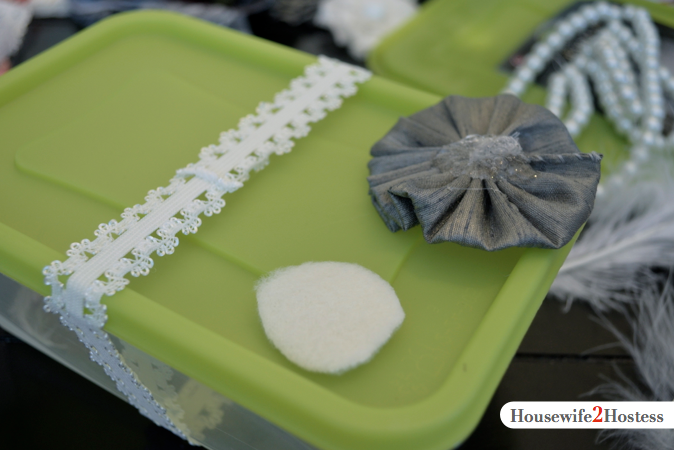 Repeat the same steps with the lace, feathers, etc. until it looks how you want. I had to mess with a few different arrangements, but in the end I was pleased with the turn out. I have been wondering how to make these! Thank you for the directions! I know some people make the flowers themselves, but this was so easy. I have made them in every color.